In this book, we have hand-picked the most sophisticated, unanticipated, absorbing (if not at times crackpot! 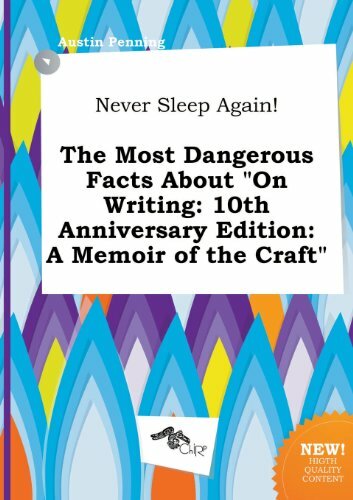 ), original and musing book reviews of "On Writing: 10th Anniversary Edition: A Memoir of the Craft". Don't say we didn't warn you: these reviews are known to shock with their unconventionality or intimacy. Some may be startled by their biting sincerity; others may be spellbound by their unbridled flights of fantasy. Don't buy this book if: 1. You don't have nerves of steel. 2. You expect to get pregnant in the next five minutes. 3. You've heard it all.